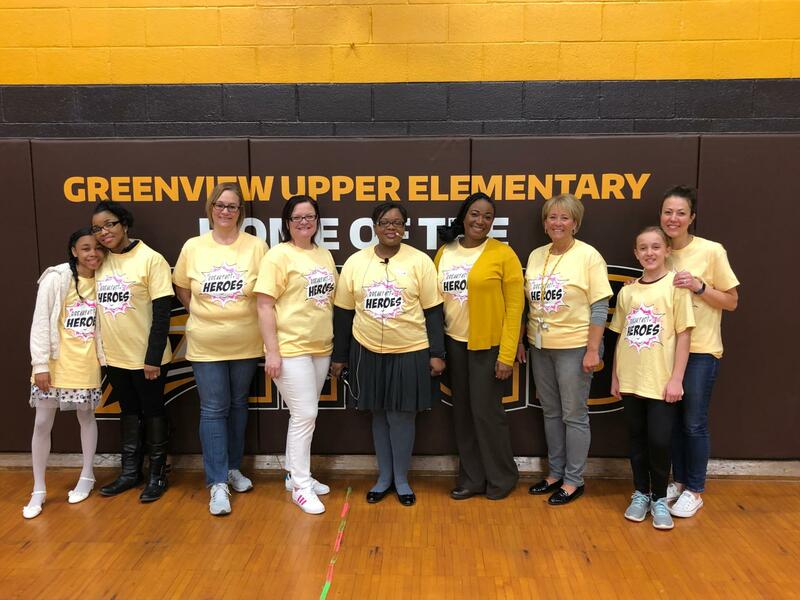 5th grade girls at Greenview Upper Elementary had the wonderful opportunity to listen to an inspiring message and spend time with their mom or special female during the Breakfast with Heroes event on Friday, April 5, 2019. Upon arrival, students and guests enjoyed a variety of delicious snacks and refreshments, including McDonald’s breakfast sandwiches. After breakfast, each participant created a self-affirmation board, using stickers and other decorations with positive, uplifting words that best described themselves. Materials for the activity were generously provided by Kaysha Pryor, founder of the Speak Life into Existence organization. South Euclid Municipal Court Judge Gayle Williams-Byers served as the guest speaker and delivered powerful, inspirational remarks which brought loud cheers and applause from the audience. 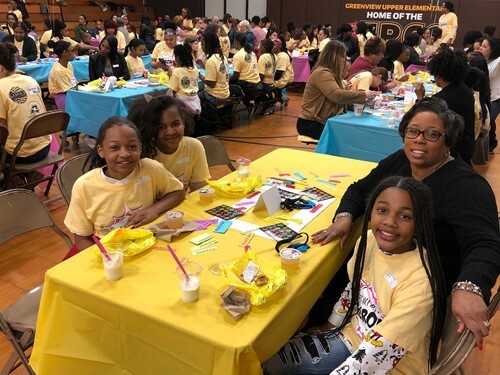 As the first African-American female elected as a judge in the City of South Euclid, Judge Williams-Byers encouraged students to find their passion, pursue it with perseverance and hard work, and use their gifts and abilities in leadership roles. The South Euclid Lyndhurst Schools wish to thank Garfield Memorial Church and United Way for sponsoring the Breakfast with Heroes event. Finally, a special thank-you to South Euclid Municipal Court Judge Gayle Williams-Byers for inspiring our 5th grade girls to pursue their dreams and make a difference!